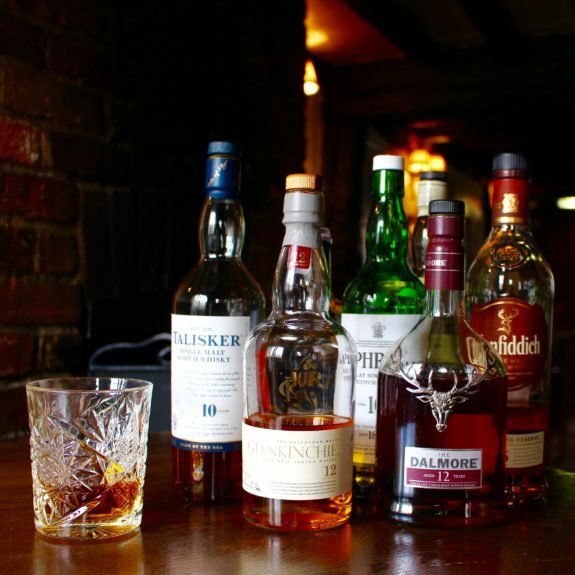 All day and evening, every Wednesday a large selection of our whiskies are priced at just £2.50. Enjoy a Cragganmore, Dalmore, Glenfiddich, Laphroaig, Talisker and more. Did you know…The spelling whisky is generally used for whiskies distilled in Scotland, Canada, Australia, Japan and Europe, while whiskey is used for the spirits distilled in Ireland and America.